Visited to Warangal(District), Andhra Pradesh. 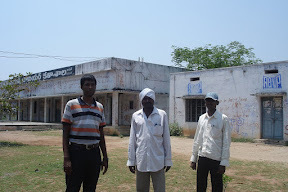 I have visited to Warangal(District), Andhra Pradesh on 29/Mar/08 from Bangalore. 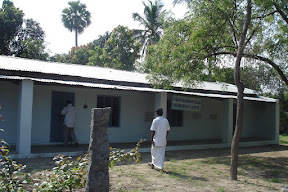 I went to this place with Prabhu(came from Nellore, AP) to see the education need in selected villages. We came to know this place through Dr.Ashok Reddy, Who is the doctor & working in USA now. He was started one hospital in Thorur, Warangal district to provided medical support for village people at free of cost. But unfortunately he is not able to continue this service and closed the hospital now. To reach this place: Bangalore to vijayawada (800 km in train), vijayawada to Mahbubabad (150 km in train), Mahbubabad to Thorur (40 km in local bus), Thorur to villages in local auto. About warangal district, AP: Total Population – 28.19 Laks, No. of Villages – 1,098, Literacy rate – 32.6%, No. of Primary Schools – 1807nos. This district coming under Telungana(there is no telungana, but local people prefer to say telungana). We can see more backward and tribal people, they are purely depends on agriculture(rice, cotton, etc). I have visited to following villages and corresponding government’s schools also. We had interaction with some local school students. 5. 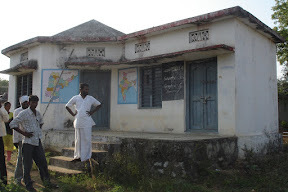 Kothakudam(we planned, but I am not visited to this village), 100 houses. I have visited to one of the Thandal(Lambadi/Tribal) village and school. This is one teacher primary school (upto 5th standard). 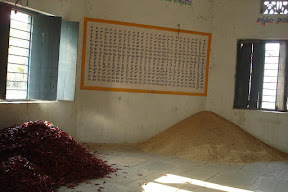 But this school filled by chili, etc, I don’t know where student will sit and study. We can see lot of education need for these villages. 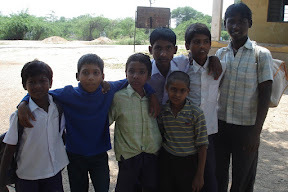 we can setup learning centers, provide education stationery for this schools, etc. But currently we are not decided what type of the project will be suitable for these villages. I will let you know soon.